The Kester and Callida Wedding Set honour the timeless and classical beauty of the baguette cut. The Kester is shown with 3 Baguette Cut diamonds on each band, Total weight 0.9ct. 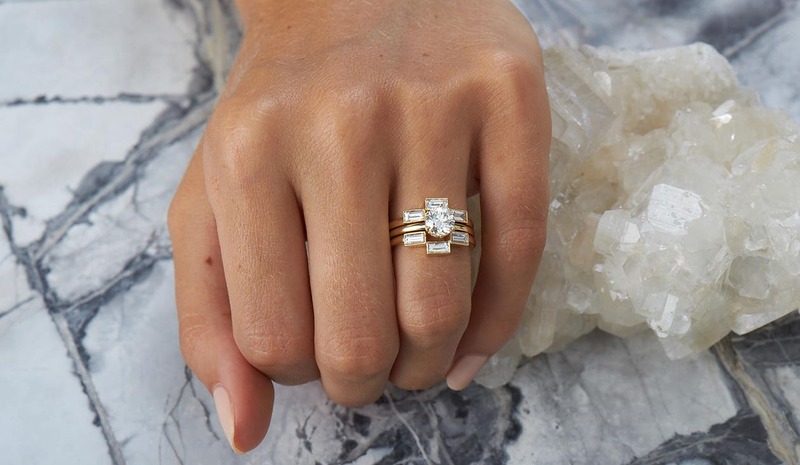 "Emma and Joe had a clear vision of what they wanted for their engagement ring, and it wasn't long before we were making wedding rings to complete the set. During the design process Emma and Joe moved from NZ to Australia so we communicated via email, and made rings to suit their life style and personalities."